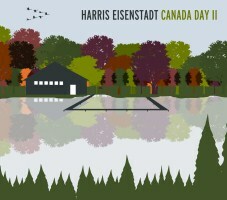 Canadian-born, Brooklyn-based drummer Harris Eisenstadt has quickly become an essential part of the East Coast jazz scene since his return from the West Coast in 2005. In addition to numerous collaborative projects, he has spent a great deal of time abroad, studying traditional West African griot rhythms in Gambia and Senegal. Loosely translated as 'musician' in Wolof (Senegal's primary ethnic group and language), Guewel is the latest entry in a journey that began on his seventh recording, Jalolu (CIMP, 2003), an homage to traditional Gambian music. Featuring a similar instrumental line-up and concept as Jalolu, Guewel was motivated by Eisenstadt's recent stay in Senegal's capital city of Dakar. Blending ancient and modern customs native to the region, Eisenstadt fuses Senegalese pop music (M'balax) to traditional Wolof rhythms (Sabar) to paint an enthralling tone poem that depicts the hustle and bustle of urban life in West Africa. 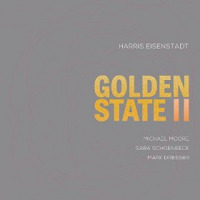 Using these multi-tiered structures as the foundation for expansive improvisations, Eisenstadt's unorthodox all-horn line-up of Taylor Ho Bynum (cornet), Nate Wooley (trumpet), Mark Taylor (French horn) and Josh Sinton (baritone saxophone) temper their free jazz leanings with hearty doses of euphonious melody. Eisenstadt maps out strategies for improvisation that have more in common with contemporary chamber music than unstructured free jazz. 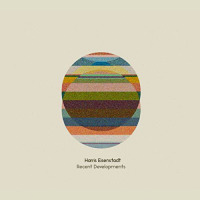 Expertly arranged and dynamically varied, each piece features an ever changing assortment of instrumental combinations. Intimate duets with the leader and soliloquies with full horn section accompaniment regularly alternate with massed collective improvisations and anthemic fanfares. The horns offer myriad modes of expression, veering from coruscating trills, brash raspberries, smeary growls and multiphonic bleats to mellifluous unison harmonies and dulcet refrains. 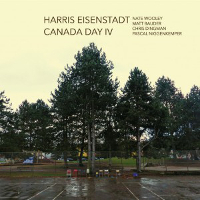 Eisenstadt plays a magnanimous support role, driving these works with an endlessly shifting series of rhythms, tempos and textures. 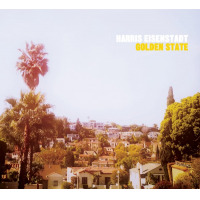 Ripe with multi-part harmonies and staccato counterpoint, these tightly composed tunes are peppered with thickets of cacophony and fragments of mellifluous harmony that recall a bevy of traditions. Over the course of these five long-form pieces the group alternately invokes surreal marching bands, ragged Ivesian brass sections, tribal ceremonial griots, Gamelan influenced court ensembles and the early experiments of the AACM. 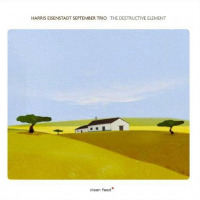 Eisenstadt's exceptional arranging skills were previously documented on The All Seeing Eye + Octets (Poo-Bah, 2007), his marvelous interpretation of Wayne Shorter's under-sung 1965 Blue Note album of the same name. This date continues that thread with a similarly unconventional line-up and singular concept. 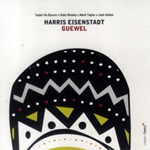 A truly unique recording, Guewel is an unclassifiable fusion of pan-global music traditions and another potent example of Eisenstadt's rising presence as a composer of note. Track Listing: N'daga; Coonu Aduna; Kaolak/N'Wolof; Dayourabine; Thiolena; Barambiye/Djarama; Rice and Fish/Liiti Liiti. 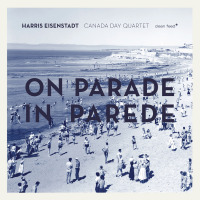 Personnel: Harris Eisenstadt: drums, arrangements; Taylor Ho Bynum: cornet, flugelhorn; Nate Wooley: trumpet; Mark Taylor: French horn; Josh Sinton: baritone saxophone.